Letting you all know (because I suspect you’d want to know) – I’ve had to send my darling and brave Amber-girl to heaven. I’ll not distinguish between human and doggie heaven, partly because I’d like to end up in both. 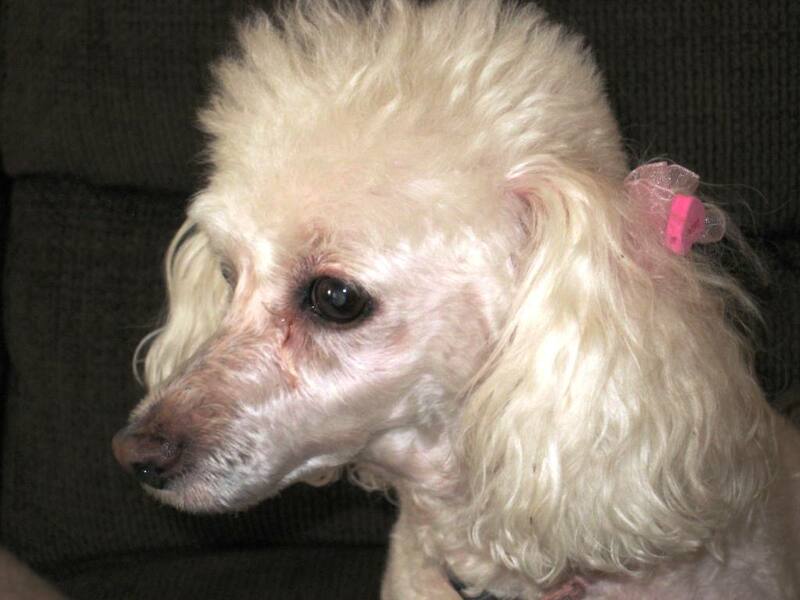 She was a 17 years-old, still gorgeous, still noble … an insolent 12 pound, fluffy and curly-white bundle of dog. I believe she could have tamed lions, given the chance. In the 70’s, Helen Reddy would’ve been proud. Amber was a true feminist. Aging: Most of us will end up in a place with which we are not familiar. That place is indistinct, confusing, frustrating, frightening … because we are unable to recognize it and process it due to our failing vision and hearing, thought processes, ability to move comfortably, and probably more that I can’t know at my tender age. I finally realized Amber was THERE. Standing, swaying, and staring at the wall without a purpose is not dignified. Amber was, if anything, dignified – and defiant – during her life. The Vet agreed. We wanted to give her a Viking funeral. We gave her what we could – a shot in the “arm” and a loving farewell. Amber will remain a legend in my memory. She was … a true Princess.